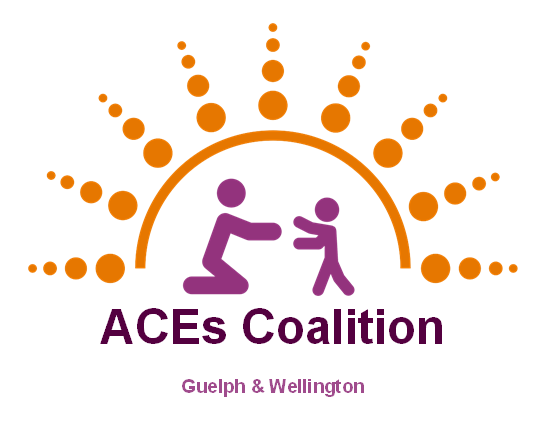 ACEs Coalition is a group of community stakeholders taking action on ACEs in our community. Contact us at gwacescoalition@gmail.com. Bucci, M., Gutiérrez Wang, L., Koita, K., Purewal, S., Silvério Marques, S., & Burke Harris, N. (2015). Center for Youth Wellness ACE-Questionnaire User Guide. CA, San Francisco. Felitti, V.J., Anda, R.F., Nordenberg, D., Williamson, D.F., Spitz, A.M., Edwards, V., Koss, M.P. & Marks, J.S. (1998). Relationship of childhood abuse and household dysfunction to many of the leading causes of death in adults: The Adverse Childhood Experiences (ACE) Study. American Journal of Preventative Medicine, 14(4), 245-258.